Andy has soccer running in his blood, he has quite the extensive soccer resume, and one he will add to since joining the Mesquite Outlaws in its inaugural year for the 2019-2020 MASL season. Di Duca comes to the Outlaws with no shortage of soccer experience as a player, coach and director. A native of Yorkshire, England, Di Duca began his playing career at Hull City AFC in their developmental squads earning himself England School Boy Trials and representing his county as center forward. After graduation at the University of Central Lancashire, UK and earning a BA in Sports Management, Di Duca moved to USA in 2007 to coach with MLS Camps and then with NY Red Bulls. Working in director positions with youth soccer clubs in New Jersey, he moved to Dallas Texas to work with FC Dallas and their front office staff as Soccer Sales Executive in 2014. Di Duca has directed several soccer programs within Dallas over the past few years and he couldn’t be happier to join The Outlaws at such an historic moment for the club. 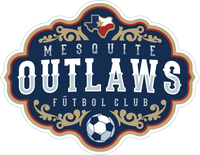 Kelby has grown up surrounded in sports and has quite the athletically inclined resume, He is ecstatic about becoming a part of Mesquite Outlaws in their first year in the MASL league. Kelby comes to Outlaws this year with a plethora of sports marketing and sales strategies under his belt. Growing up a multisport athlete with parents as coaches this catapulted his career and sports involvement. Baseball, Basketball, Track, and Volleyball have been the main sports in his life with a further concentration in the recent years in volleyball, competing and coaching at a national level. As far as career moves Kelby has territory managed sport a fitness sales companies providing healthy involvement and sports inclusion to kids across the DFW area from the elementary school level up to the high school. In recent years Kelby has moved over into professional ticket sales for teams such as the Dallas Mavericks and the Texas Rangers. 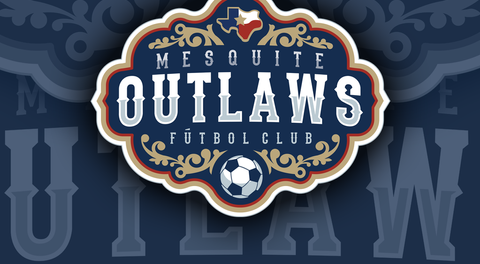 Kelby is thrilled for this new adventure to begin and for an incredible season with the Mesquite Outlaws.